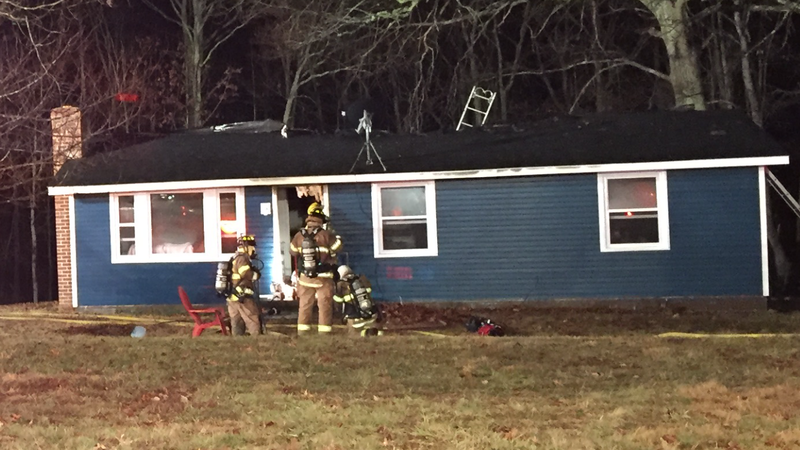 At 2:33am on January 28th, Engine 81, Engine 82 and several other units around Albemarle County responded to 1718 Lindsay Road for reports of a structure fire at a residence. Initial units on scene reported fire showing through the roof of the structure, and initiated firefighting operations. Engine 82 set up a fill site at a dry hydrant located at Keswick Vineyards, allowing water to be siphoned from a lake to be used for firefighting. Engine 81 responded to the structure on Lindsay Road, providing two crews that operated inside the house. Firefighting crews cycled through various roles at the incident, including fire attack, searching the home, and overhaul, or ensuring that the fire is fully extinguished. Albemarle County’s Fire Marshall’s Office estimated fire related damage to be $35,000. Fortunately, there were no injuries to the occupants of the home or the firefighters that responded to the incident.